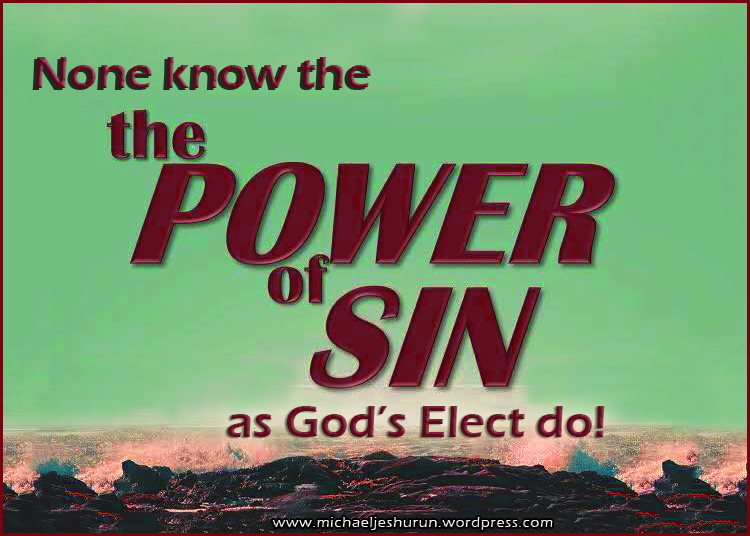 ONLY GOD’S ELECT KNOW SOMETHING OF THE POWER OF SIN! DO YOU KNOW ANYTHING OF ITS POWER? The power of Sin is a power unfathomable and indescribable. The great strength of sin consists in this– that it is a subtle and secret influence pervading and permeating every thread and fiber of the human mind, and acting in a way that must be felt to be known. It is like a river, deep and rapid, such as the Danube (Europe’s second longest river), but flowing along so quietly and noiselessly that, looking down upon it, you could scarcely believe there was any strength in the stream. Try it; get into it. As long as you let yourself float with it you will not perceive its force; but turn and swim or row against it; then you will soon find what strength there is in the stream that seemed to glide so quietly along. So it is with the power of sin. As long as a man floats down the stream of sin, he is unconscious of the power that it is exercising over him. He gives way to it, and is therefore ignorant of its strength, though it is sweeping him along into an abyss of eternal woe. Let him oppose it. Or let a dam be made across the river that seemed to flow along so placidly. See how the stream begins to rise! See how it begins to rage and roar! And see how soon its violence will sweep over or carry away the barrier that was thrown across it! So with the strength of sin. Serve sin– obey it– it seems to have no strength. Resist it– then you find its secret power, so that but for the strength of God, you would be utterly carried away by it. i.e. from the penalty of sin in Redemption, from the power of sin through Sanctification and finally from the very presence of sin in Glorification!